See scan - perfect condition and comes with original ribbon of issue. This is a nice and rare Polish Communist / Socialist award decoration and the 2nd highest Polish order. Order Sztandaru Pracy was instituted by act of Parliament of July 2, 1949, together with the Order of Builders of People's Poland. Conferred in two classes, for merit in national economy, science, arts, culture, defense, as well as for public and state services. It could also be awarded to an organization, factory or territorial unit. 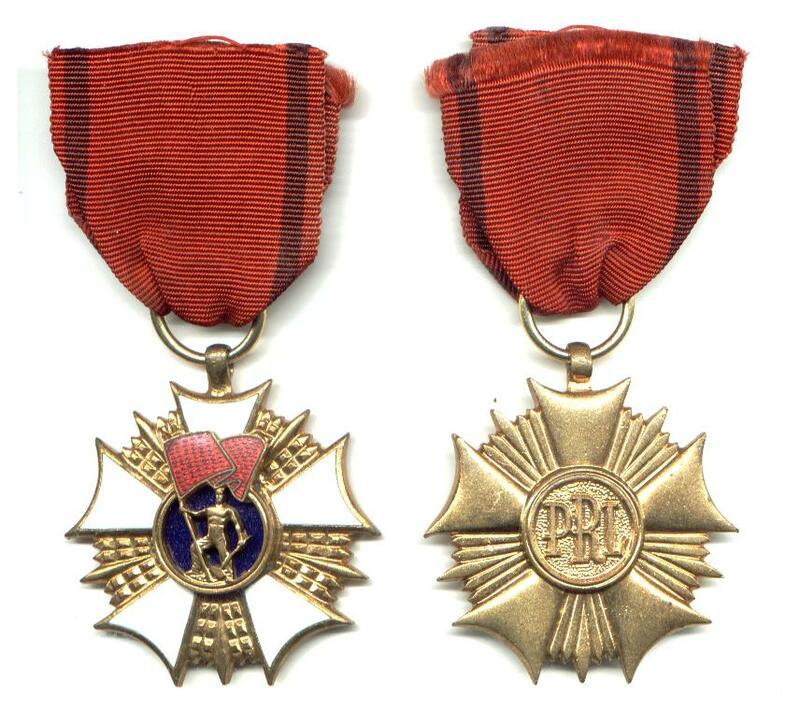 The order could be awarded many times in the same class. In 1992 it was discontinued. Badge: a cross of five with concave arm bases and with rays between the arms. A blue medallion depicts a male figure with a red banner, partly overlapping the upper arm of the cross. The non-enameled reverse bears letters PRL (RP until 1952) in the medallion. The human figure, rays and other metal parts are gilt in 1st and silver in 2nd class. Ribbon: 36 mm, bright red with narrow darker side stripes. Scarce collector piece and one of the rare Polish orders.